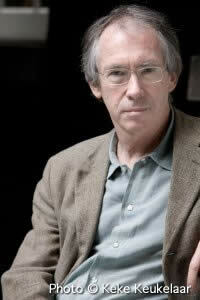 As the epic film adaptation of Ian McEwan’s novel Atonement opens to generally glowing reviews, we look back to McEwan’s reading from his then-unpublished novella, On Chesil Beach, at the 2007 Seminar. This recording is available for noncommercial and educational use only. All rights belong to the author. © 2007 Ian McEwan. Used with permission from Ian McEwan. ← Garry Trudeau vs. Roger Rosenblatt!